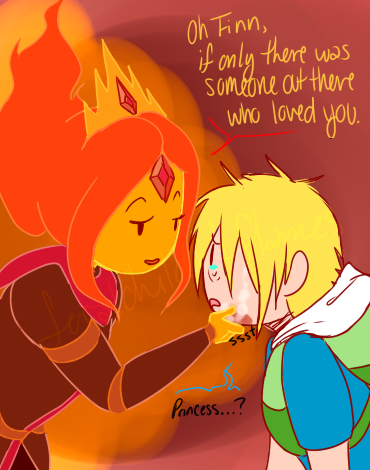 FLAME PRINCESS आप ARE NOT HANS. The artist got this reference from "Frozen", for sure. The scene where Hans leaves Anna to freeze to death, saying, "Oh Anna, if only there was someone out there who loved you." 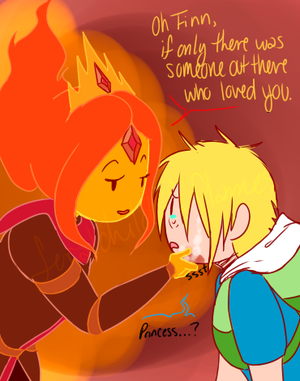 FP आप ARE NOT HANS.. Wallpaper and background images in the अड्वेंचर टाइम वित फिन आंड जेक club tagged: photo adventure time frozen flame princess flame queen finn hans anna. ^^^it is indeed... cold to the soul... hot to the touch.